Mark Zuckerberg famously dropped out of Harvard in 2004 to found Facebook, now the world's largest social networking platform. 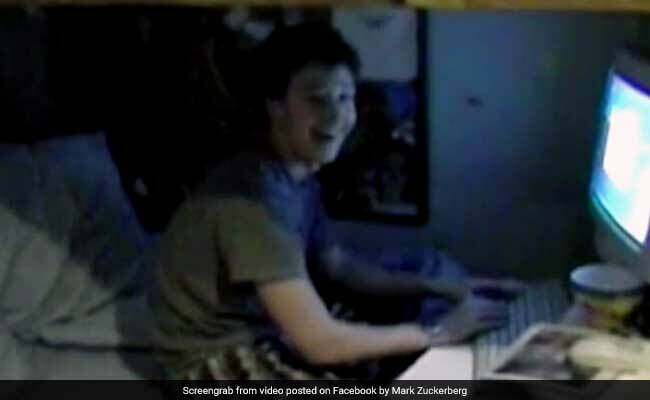 New Delhi: In a brilliantly timed Throwback Thursday post, Facebook founder Mark Zuckerberg has posted a video (where else but on Facebook) showing the exact moment he found out he got into Harvard nearly 15 years ago. Famously a Harvard dropout, Mr Zuckerberg will be giving the commencement speech at the university's upcoming graduation ceremony on May 25. He'll even be getting an honorary degree. Mr Zuckerberg, who was part of Harvard's class of 2006, dropped out to found Facebook, now the world's largest social networking platform. "My dad took this video when I got accepted to Harvard. Next week I'm going back for commencement to get my degree," the 33-year-old billionaire writes in a caption accompanying the video. "Yay," exclaims a young Mr Zuckerberg as he reads the acceptance email. He is seen wearing his trademark grey t-shirt and pyjama bottoms. "I got accepted." Fist pump. "Are you serious?" his father, Edward Zuckerberg, asks. "Alright! Yes! Great,” he says as he high-fives his son. He goes on to introduce his son as one of the newest members of Harvard’s class of 2006. Mr Zuckerberg was admitted to Harvard in 2002. He dropped out in 2004. "Before I went to college, my mom bet me I'd drop out and my younger sister bet me she'd finish college before me. I bet them I'd get a degree. Now I suppose the cycle is complete," Mr Zuckerberg writes in the comments section on Facebook. In the 12 hours since it was uploaded on Facebook, the clip, a little over a minute long, has been viewed over 3.5 million times. It has collected over 260,000 reactions and been shared over 12,000 times. In March, Mr Zuckerberg starred in this hilarious video with an equally famous Harvard dropout: Microsoft founder Bill Gates.